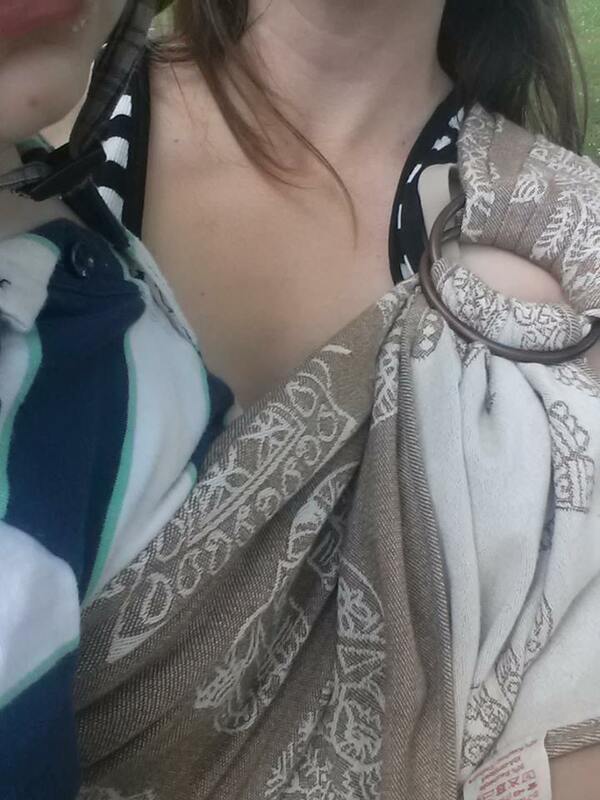 As you can tell, I really like Didymos wraps. I've tried most of their blends and styles, in a variety of lengths and types of carriers. One blend I really wanted to try last year was cashmere. I am a lover of wool in general, and cashmere seemed to me at the time to be the epitome of luxury for a wool lover. I read many amazing reviews of cashmere india, but as I don't tend to gravitate towards thicker wraps, I was intimidated by the specs of this beautiful beast. This sling was in pretty well brand new condition when I received it, and was still a bit itchy to the touch. It softened up very nicely with a bit of gentle breaking in at home. It was very supportive with my toddler, rock solid, but with a bit of cush on the shoulder. There was not very much bounce to it at all though, which I generally prefer in a carrier. 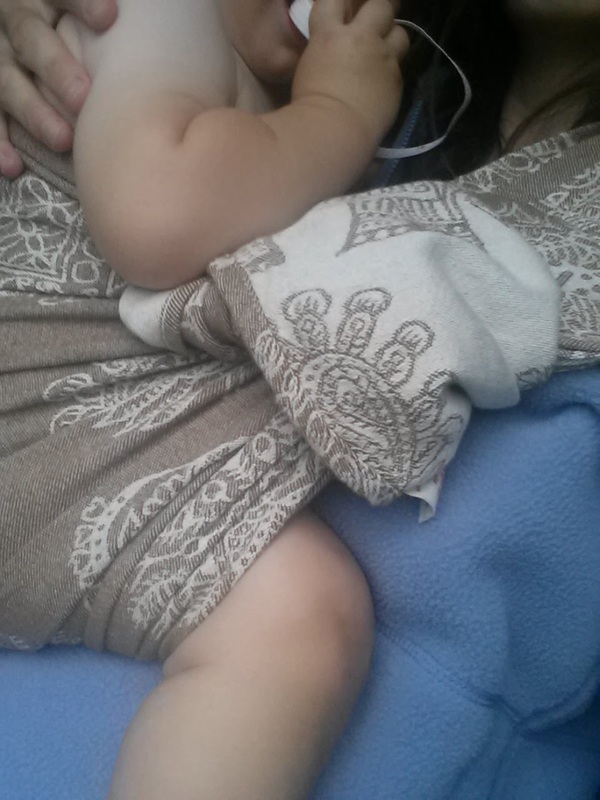 We enjoyed this sling for a short while, but the support just ended being more than we needed. If you are a lover of thick wraps. this would probably be right up your alley. I wish I had liked the qualities of this wrap better, as I love the India pattern so much, and the colours of this sling were just right for me. Recommendation: If you love cashmere and India print, you will love this. If you are looking for a rock-solid beast of a wrap that you can tame into a cuddly soft, yet supportive workhorse, this is for you. If you like bounce and right-out-of-the-box wrapability, maybe this isn't for you.